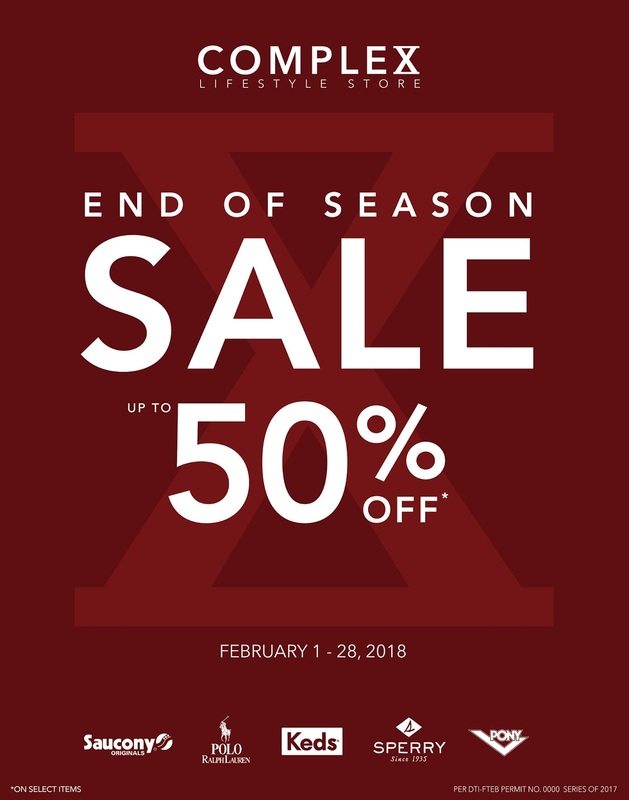 Enjoy up to 50% off on your favorite sneakers at the Complex Lifestyle Store End of Season SALE happening until February 28, 2018! Participating brands: Saucony, Keds, Sperry, Pony, and Polo. 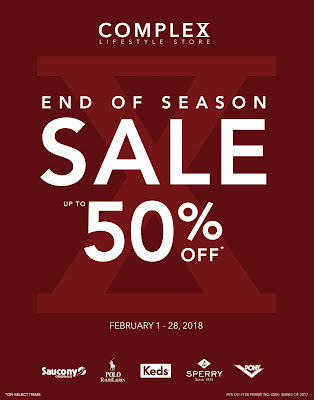 Visit the Complex store at ATC, Festival, Glorietta 2, Shangri-La Plaza, Trinoma, Cloverleaf, Eastwood, Uptown BGC, Fairview Terraces, Solenad 3 - Nuvali, Marquee Mall, Robinsons Galleria Cebu, Arvo Legaspi, Limketkai Mall to score great deals from your favorite brands such as Keds, Sperry, Saucony Originals, Pony, and more!